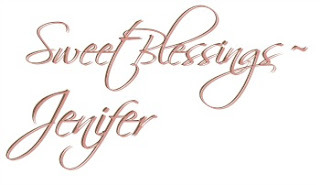 Jenifer Metzger : Can I Just Shout of God's Goodness!? Can I Just Shout of God's Goodness!? Oh friends, I just cannot tell you how good God is! He is incredible and He deserves our praises! I just have to continue to count my blessings to Him! 901. God's divine and on time protection for my Dad. 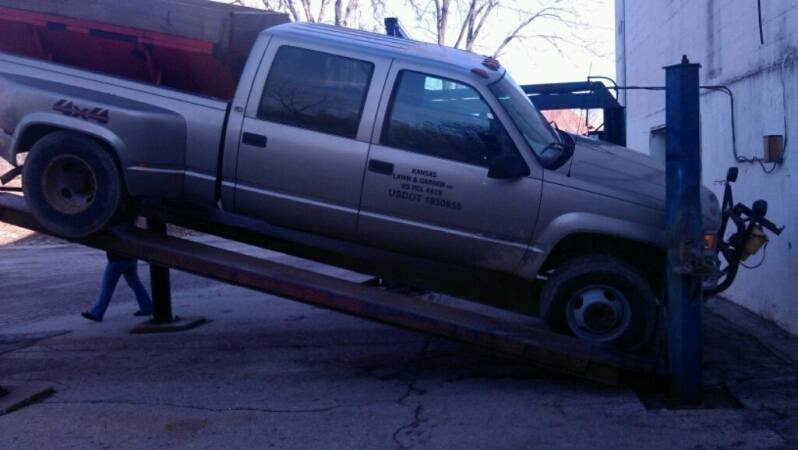 The auto lift my dad works under broke and fell yesterday with a large truck on it and my Dad UNDER it. He should have been injured or even killed! It is ONLY by the hand of GOD that my Dad is okay! PRAISE BE TO GOD!! 902. God working out details ahead of time to protect my son. My son works with my dad and is often under that auto lift right next to him. However, my son decided not to wear his thick work coat yesterday and was very cold so he went to stand in the doorway away from the bitter wind. This is when the lift fell. PRAISE BE TO GOD!! 903. Hearing of miraculous praise reports from people in my church. 904. God's hand in everything! 905. The kids in church raising $93 for missions in January! So proud of these kids! 906. The willingness of my husband, the children's pastor, and our very good friend not cutting their hair or shaving for an entire month so that the kids in church could shave them for missions! These guys are great sports! 907. Celebrating my oldest daughter's 15th birthday! I cannot believe I have been a mom for 15 years. Time flies so fast and it is so bitter sweet watching our children grow. I love my Lylea and I praise God for letting me be her mom. 908. Enjoying a night of food, fun and football with good friends. 909. The beautiful new SERVE necklace at Woman to Woman. God deserves our praise! What are you praising Him for today? Well, you definitely don't look old enough to have a 15 year old! ;) My oldest will be 14 this year, and she's already counting down the days until she can drive. *sigh* I love her enthusiasm! We have to "threaten" my daughter to GET her permit! She doesn't wanted! LOL. I found you via Titus 2sdays. What an amazing testimony about that lift falling and the protection of your dad and son. I'm praising God today for my amazing husband. He is such a hard-working man, standing on his feet all day so I can be home with our three kiddos. So very thankful for him! Give praise where praise it due! God is good and you are shouting it loudly! Praise God for your Dad's miracleous safety...Blessings! Oh yes, God is indeed VERY GOOD!!! I'm praising God today for a new little great nephew that was born this morning. They named him Judah, a strong name! I agree with Andrea that you don't look old enough to have a 15 year old. Ann's Multitude Monday list brought me here, and I'm praising God with you for your dad's and son's safety. May your family continue under His protection. Grace and peace to you in Jesus. Oh Tinuviel, you are too kind! thank you for your sweet words! ;) God is just so good, isn't He?